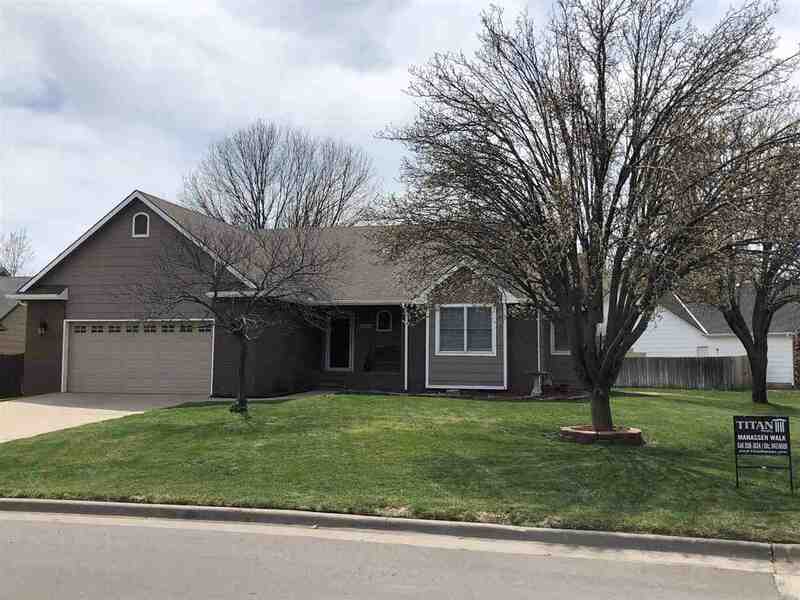 Located in the Andover Central School district and on a cul-de-sac in the beautiful Green Valley Neighborhood. This 4 bedroom, 3 bathroom home features 2 car over sized garage, wood laminate flooring , Updated master bathroom with his and hers sink, soaker tub and separate shower with lighted rain shower head. The Master bedroom has trey ceilings and walk in closet. The kitchen has concrete counter tops with spacious center Island. Two way fireplace in kitchen and Living room. In the basement, you will find a very large family/ theater room, a fourth bedroom, third full bathroom, and an abundant storage area. The back of the home has Covered Back Deck with ceiling Fan. The yard is well manicured, has a sprinkler system, Irrigation well, and the backyard is fully fenced. Enjoy the short distance to the neighborhood Greenbelt and Basketball court, the YMCA, shops and restaurants. Great schools and so much more!